Established in 1985, Back to the Picture is the realization of an entrepreneur's dream. A family business, Back To the Picture is owned and operated by the Gomez family, with help from longtime staff and craftsmen. 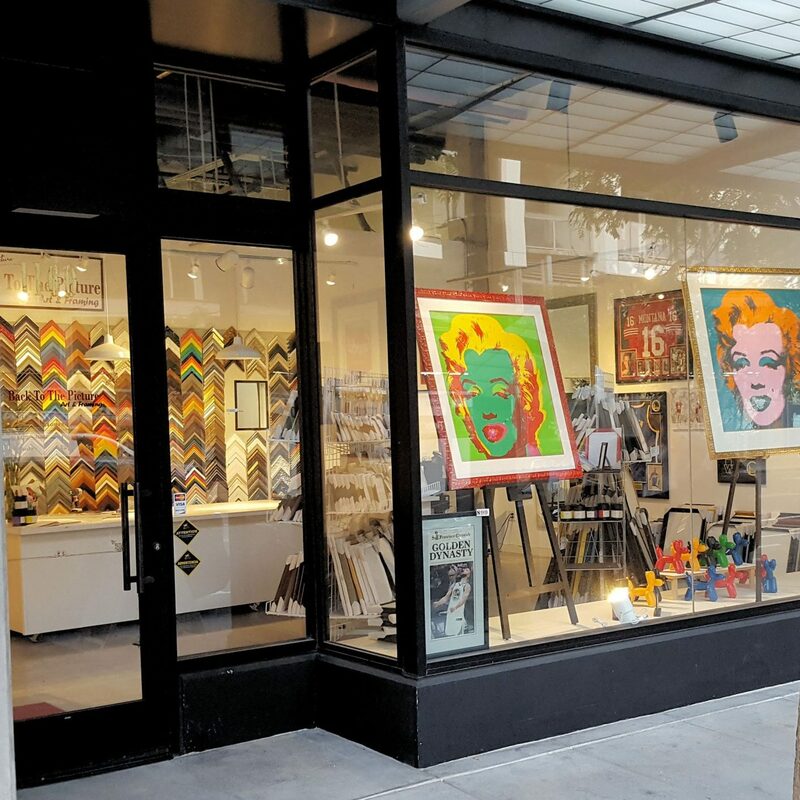 Their love of art and people is demonstrated by the business's primary occupation of custom framing of client artwork, and by its secondary arm operating an art gallery featuring International, National, and Bay Area artists. Back To the Picture works with interior designers and commercial clients, the general public, and professional artists in its framing business. The gallery hosts guest curators as well as group shows produced by Back To the Picture staff. Come see us at any of our three San Francisco locations! Custom Framing is our specialty! We have frames available at all price points of the spectrum, from fine quality custom frames to inexpensive readymade frames. Frisco Frames, our house line of on-demand frames, are gallery quality contemporary frames at readymade frame prices. Additionally, we sell decorator art and mirrors, feature local and national, and international artists in our gallery. Our flagship location in the heart of the Mission opened in 1985, expanding with gallery space 2 years later. 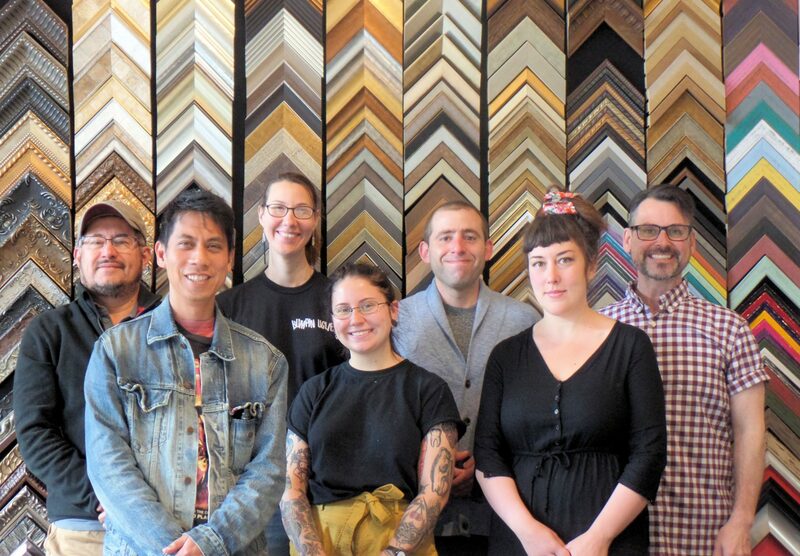 Our Valencia St. store and gallery proudly serves the Noe Valley, Bernal Heights, Excelsior, Castro, and Mission/Potrero neighborhoods of San Francisco. 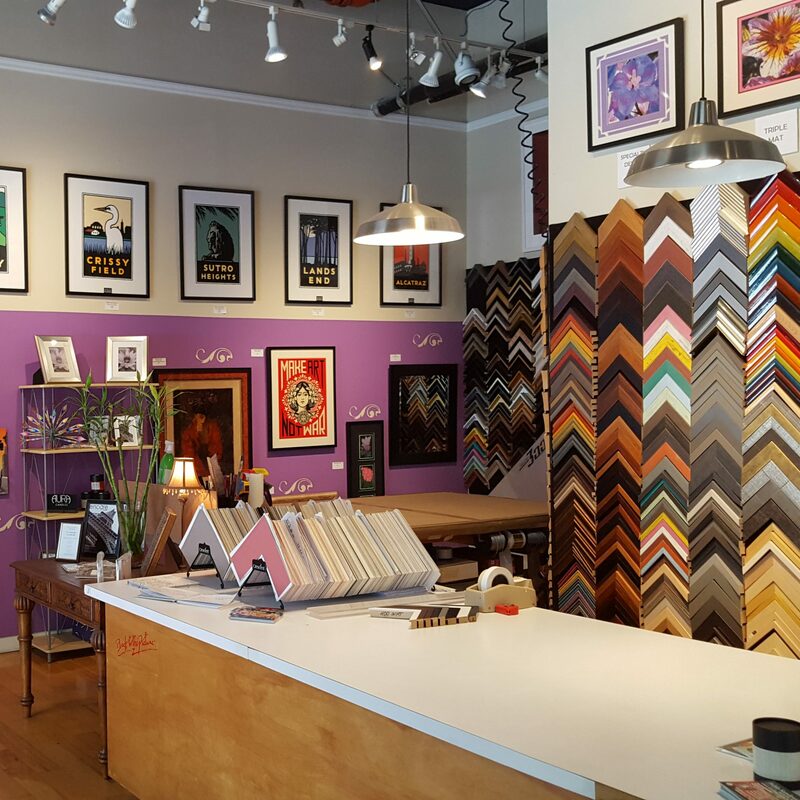 Open 7 days a week, Back To The Picture: Valencia St. has an extensive collection of ready-made frames in every standard size, mostly made from custom mouldings, as well as a sizeable art collection available in every medium. The gallery is always hung with art that appeals to everyone featuring Contemporary and Latino Masters, American notables, and California/Bay Area Artists. An anchor of the Valencia corridor, Back To The Picture Art & Framing is always a must stop while strolling along Valencia Street. Your Message: INCLUDE THE BTTP LOCATION you're referring to. Back To The Picture/ SOMA opened originally on Howard St. in 2003. We moved into the present location at 10th and Mission Sts. In 2010, as part of the Mid-Market rejuvenation. Down the block from Twitter, Square, Uber, and numerous tech firms in the area, Back To The Picture works closely with our corporate clients as well as many residential buildings in the surrounding neighborhoods. 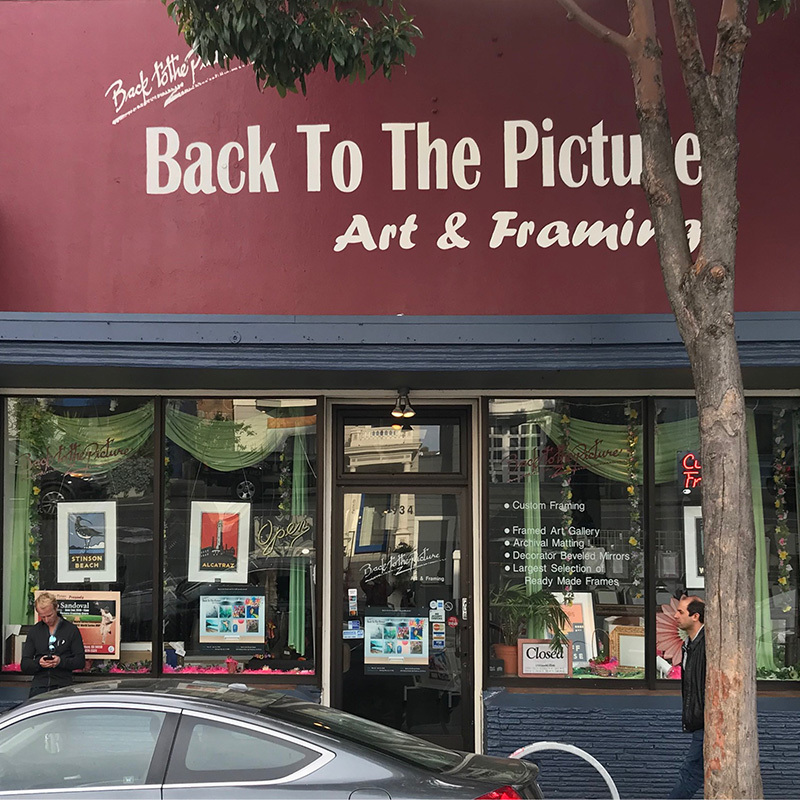 Back To The Picture/SOMA is a full-service shop with selection of ready-made frames in standard sizes, artwork, and prints for sell, serving the SOMA, Hayes Valley, Civic Center, Nob Hill, and Mid-Market neighborhoods. Drop in with your favorite poster, memento, or painting Tuesday through Saturday! Our newest location in the brand new and pristine Mission Bay neighborhood opened in 2016, as one of the original businesses in the fledgling neighborhood. Three blocks from the Cal-Train Station and in very close proximity to the future Chase Center. Back To The Picture/Mission Bay welcomes all the new residents to the area and is prepared to decorate your walls with a full service frame shop on 4th St. Our Mission Bay location is also stocked with ready-made frames in all the standard sizes, art prints, and unique art items. Back To The Picture/Mission Bay is proud to be a part of a new exciting area of San Francisco. Stop by Tuesday through Sunday to discover how wonderful it feels to design and frame your favorite pieces!